If you have watched the recent movie, “The Internship”, starring Vince Vaugh and Owen Wilson, this wouldn’t seem so much of a new phenomenon to you. In the movie, Vince who casts as Billy Mahon, an enthusiastic sales man who lost his job, had took on an internship at Google. He was seen trying to flag a car driving pass both him and Nick Campbell (Owen Wilson) as they struts across the Google campus. Only to realize there wasn’t a driver, much to both their dismay. Well, seems like what we see in the movie is true. 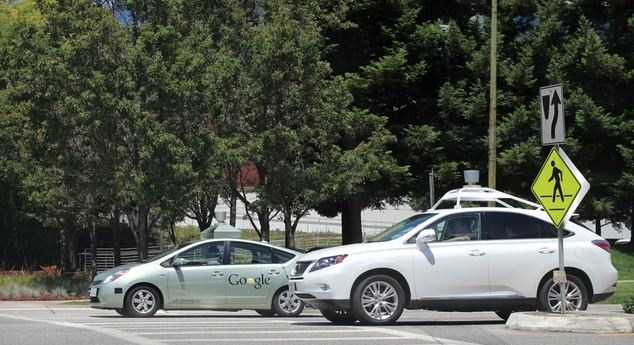 Google is reportedly designing and developing new technology that basically allows vehicles to drive without a driver. So far, these self-driving cars are developed from existing cars. But it is rumored that Google is actually planning to work on developing new vehicles. Google is planning to design and bulid these cars as “robo-taxis”. These taxis would be deployed to different cities in the world to help companies launch robo-taxi fleets in. The plan is to have a real human driver present in the initial phase to ensure the safety of the vehicle and eventually let it be automated. While Google do have plans to develop commercial vehicles into these self-driving vehicles, their current cars are modified Toyota which cost up to $150,000 for one. And that is quite a hefty amount to begin with. Google is looking to keep costs low. For now, these technologies remains the products from Google X, the semi-secret and innovative tech lab of Google.